Our stallions stand with live foal and filly guarantees. Check with us regarding their current service fees. Please click on the stallions' photos for extended pedigrees and additional stallion and offspring photos. Our young heir apparent to Trad's throne - you will hear more about Ibn in the future. Ibn already has caught the eye of several Endurance enthusiasts. He is a full blood sibling to Belesemo Tradition, AERC Husband &Wife Team Champion, Tevis Top Ten & Wendell Robie Award winner. Ibn's crops are being snapped up as youngsters by noted endurance riders. You will see more of them on the trail in the future. 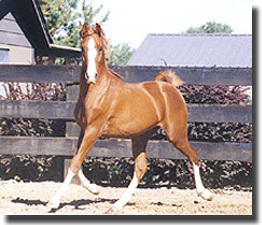 We are pleased to announce the arrival in September of BR GOLD SOVEREIGN (*Seffer x PR Silvern Dream) an almost 100% pure Crabbet Arabian stallion from Sojourn Arabians in Pulaski, Tennessee. Sovereign joins the Belesemo Stallion roster for 2015. 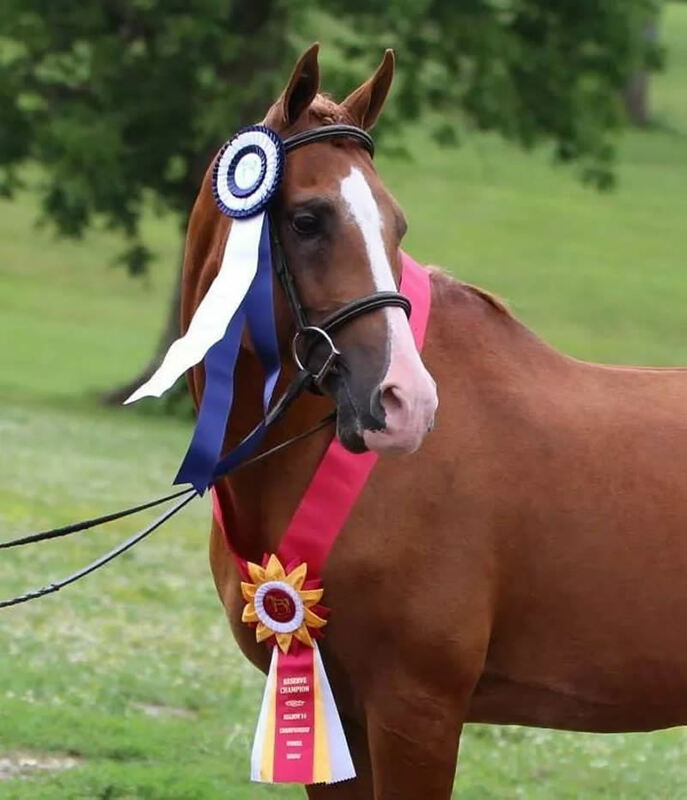 This 15.1 hand stallion will be a great outcross for the continuation of the performance and sport horse halter blood lines sought by Belesemo Arabians. Sovereign is also a Breeders Sweepstakes Nominated Stallion. Our stallion roster has included U.S. National Top Ten and Regional Champion Sport Horse stallion Belesemo Epic++ owned by Mona Tobias. 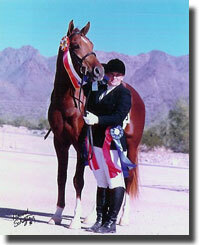 Reserve Champion Dressage High Score Horse of the Year Breeding Model. Look for photos of his offspring on the show ring page. Please check our sales list for offspring currently for sale. For more information on breeding to this outstanding stallion, contact Mona Tobias at belesemoepic@peoplepc.com or phone (910) 265-5780.